SWMTC has a talented and committed Youth Group that puts on a musical each year in the Autumn. Young people who wish to be involved must be at secondary school, and aged 11-18. An annual SWMTC Youth Group Membership fee of £30 and a production fee of £30 is payable by 1st September each year. 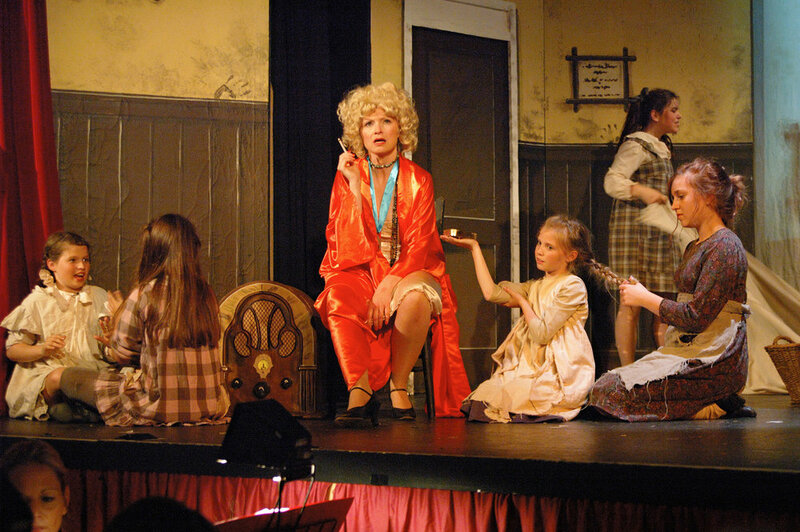 Our shows are of a very high quality and have won several awards over the years with productions of ‘Annie’, ‘Sweeney Todd’, ‘Phantom of the Opera’ and ‘Evita. They require commitment and hard work but are tremendous fun and are a valuable experience. The group do one musical theatre production every November in Saffron Walden Town Hall. Occasionally a second show is produced in the summer, either in the form of a concert of another musical. Sometimes shows are done in conjunction with the adult members of the Company. For the November show, there is usually an initial meeting or two in June/July followed by auditions for principal roles. Rehearsals then begin in earnest in September. In show week the cast will be called all day on Sunday for a technical run-through of the show and then on Tuesday for the dress rehearsal. Performances are on Wednesdsay, Thursday, Friday and Saturday evenings plus a matinee performance on Saturday. We rely on many volunteers for help backstage and front of house during show week, some of whom have been working on SWMTC shows for over 50 years. Help is always welcomed from parents/guardians - no experience necessary - so if you can spare some time to help with hair, makeup, selling programmes, organising the raffle, stewarding, manning the bar etc please get in touch.